PLEX Bass Pre / Comp, DI ,Tuner and Record Unit. 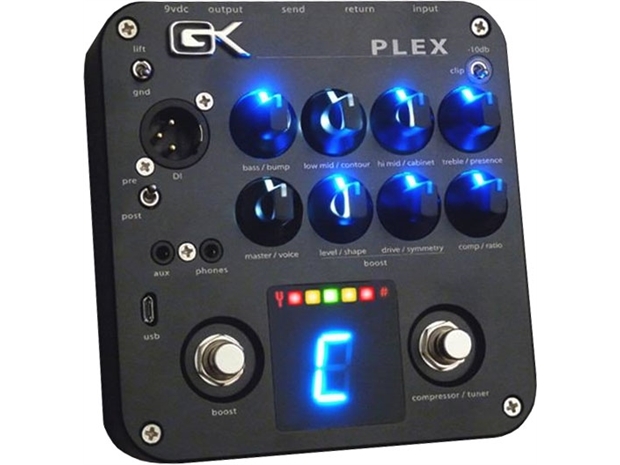 PLEX is Gallien Kruegers new all in one Pre-Amp, EQ, Compressor , DI with built in tuner and 24bit Recording out unit. Plex Unit, Power supply and Manual. Gallien Krueger : PLEX Bass Pre / Comp, DI ,Tuner and Record Unit.